Good Friday failed to live up to its name for the Cobblers who endured a miserable away day in London, emphatically dispatched 3-0 by Millwall at The Den. All the damage was done in an instantly forgettable first-half which saw Millwall start and finish on top and also score two goals of stunning quality in-between. The first came on 27 minutes when Aiden O’Brien cracked home a first-time volley via the crossbar and after Northampton responded well, it was followed by a second goal of equal quality with Jed Wallace rasping into the top corner from 25 yards. Another emphatic finish from Wallace right on half-time compounded a miserable opening 45 minutes for the Cobblers, who only really started playing once behind although the margin of Millwall’s lead was somewhat harsh on Just Edinburgh’s men. With the result never in doubt, the second-half became something of a non-event and Northampton were able to escape London without suffering any further damage aside from an injury to Luke Williams. The result goes down as a disappointing one but it rather follows the pattern of Northampton’s season when it comes to games against the better teams in League One, and now they welcome Shrewsbury to Sixfields on Monday still needing points to guarantee their safety. Elsewhere, Gillingham beat Bristol Rovers and Shrewsbury drew with Wallsall while defeats for Port Vale and Bury keep the Cobblers a safe distance back to the bottom four, even if they are back down to 16th. With two games in quick succession, Edinburgh chose to rest John-Joe O’Toole for the trip to London as he continues to battle a groin injury while Brendan Moloney also dropped out. In came Aaron Phillips and Keshi Anderson but though the latter’s presence suggested an attack-minded team, Northampton were on the back foot in the early stages and had two big let-offs. Adam Smith twice fluffed his clearance but Lee Gregory’s charge down rebounded back to him before the Town goalkeeper was caught off guard when O’Brien’s attempt from 20 yards hit the inside of the post and rebounded narrowly away from the lurking Steve Morison. There was then another slice of good fortune for the visitors when referee Graham Salisbury turned down strong penalty protests after Zander Diamond had seemingly tripped Gregory, much to the incredulity of the home fans. The Cobblers were dealt a blow midway through the half as Michael Smith was forced off with a leg injury, replaced by Hiram Boateng, which saw Keshi Anderson join Marc Richards up front. The change didn’t disrupt Millwall’s superiority as strong defending by Buchanan and then Diamond prevented Morison and then Gregory from getting clean shots away. But the home side’s dominance continued to build and, eventually, it paid off. The opening goal came in spectacular fashion as O’Brien played a slick one-two with Morison and then unleashed a fizzing first-time volley that whistled beyond Smith and into the top corner via the crossbar. 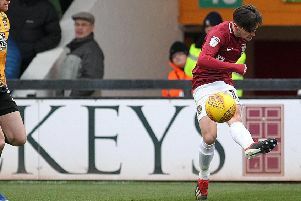 Few could begrudge Millwall their lead but going behind seemed to wake Northampton from their slumbers as they then enjoyed their best spell of the first-half and almost levelled. After Matty Taylor shot straight at Tom King, a swift counter-attack involving the two Anderson saw Paul cross for Luke Williams, who controlled, spun and shot, all in one movement, but King reacted well and tipped behind for a corner. The next save from King was even better and denied his own player, superbly tipping over Joe Martin’s wayward clearance. The Cobblers had worked themselves back into the game as half-time approached, but that’s when they were hit by the sucker-punch through another sensational strike. It all stemmed from Smith’s wayward clearance which fell kindly for the hosts who worked it to the right where Wallace thundered a stunning 25-yard shot into the top corner, leaving Smith grasping at thin air. Again Northampton’s response to conceding was admirable with Taylor forcing King to tip wide from a long-range free-kick but a forgettable first-half was completed in the final of three added minutes. O’Brien wriggled free on the left and drove to the byline where he crossed for Wallace, who lashed into the roof of the net from eight yards for his second and Millwall’s third, putting the result beyond doubt with only 45 minutes played. 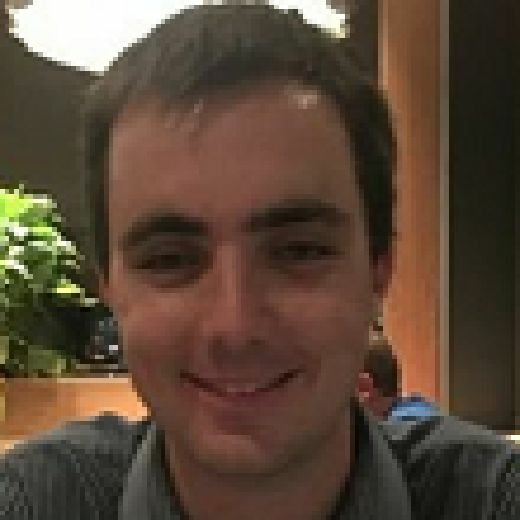 Gregory fluffed his lines when presented with a fine chance to make it four moments after the restart and the second-half followed a similar pattern to the first. Millwall pushed forward and only some desperate defending, plus good work from Smith who did well to deny Shaun Williams and O’Brien, kept them out. Northampton’s afternoon got no better when Williams pulled his hamstring and had to be withdrawn midway through the second-half. The visitors struggled to create much themselves, Boateng’s wild effort sailing over the only real shot of note, before King kept out Alex Revell’s late header. The second-half, which was overshadowed by scenes in the East Stand where a supporter received prolonged medical treatment before being taken to hospital, petered out and ended without incident.